Sorry I’ve been so rubbish this time round, but I’m having fun seeing how much progress everyone else has made. You’ve done so well! Amazing progress! 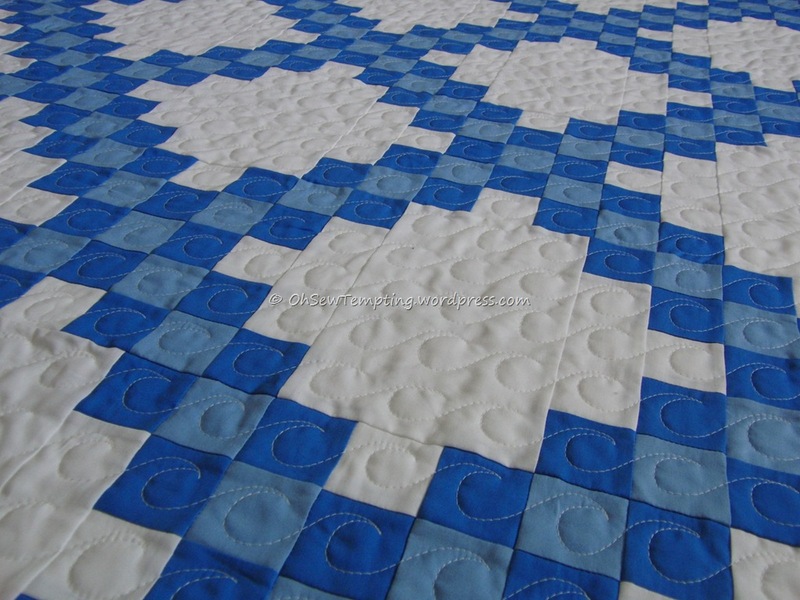 I can see why you would enjoy stitching this one, it is such a fun design! It’s great to flip between you and Claire and get a preview of your next sections! I know and we’ve made tiny changes so we both have unique versions. doesn’t hat lady have a lovely pair of legs? Looking forward to seeing you complete the top sections. Would love to join in with the SAL – have loads of unfinished projects that I need a little push to finish! Great! I’ll send you details by email today. Look at those legs😁 You’ll be done in no time. You’re such a fast stitcher. There’s probably about 5 sections left I think. 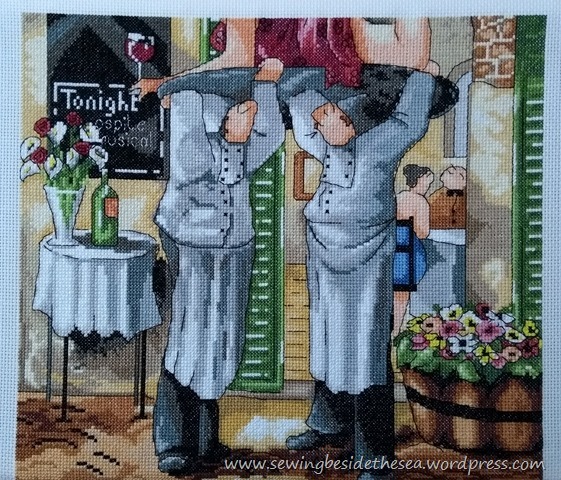 Legless waiters! Now that’s a useless thing the world doesn’t need. Yet again you’ve made great progress on this project. It’s really coming along swiftly, as swiftly as a huge undertaking like this can be. It’s not too bad when you get going. There’s a few large blocks of the same colour here and there. The waiters may have lost there legs the but lady now has hers. You are keeping a lovely steady amount each month on this. I wish I could be so consistent Avis. He-he! I just want to do lots of other things at the same time so I stitch like crazy on this for a few sessions after SAL day and then leave it for a couple of weeks. It works for me that way. Like! I think I´ve said it before, but this embroidery is great!!!!!! Thank you Gun. I’m still enjoying stitching it. I’ve got another one in the same series but it’s in a long queue of others. Looks great. I love watching this one progress. The waiters’ legs may be hidden, but your lady is showing hers off! I always love seeing your progress on this piece! Yes, you won’t see the very bottom of the picture again until it’s all done. Hi Avis, I loved being part of this SAL in the past. I am ready to join up again if that would be ok with you. I have a post scheduled for Sunday already. Thank you. Oh wow, that’s great news! I’ve already sent out the links for Sunday so we’ll link up properly again next time if that’s ok with you. By all means do your update. I’ll mention in my post that you’re back and that should send some readers across to you 😁.